Often when we design both the save the date and invitation for a couple, we're asked to make a more fun, laid back save the date, even if the wedding is a formal black tie affair. Case in point with Hillary and Jared's Jamaica wedding at Round Hill, in Montego Bay. For their invitation, Hillary and Jared wanted something that would match the formality o their black tie wedding. Because it was in Jamaica we wanted to also keep the design fresh and appropriate for the tropical surroundings. 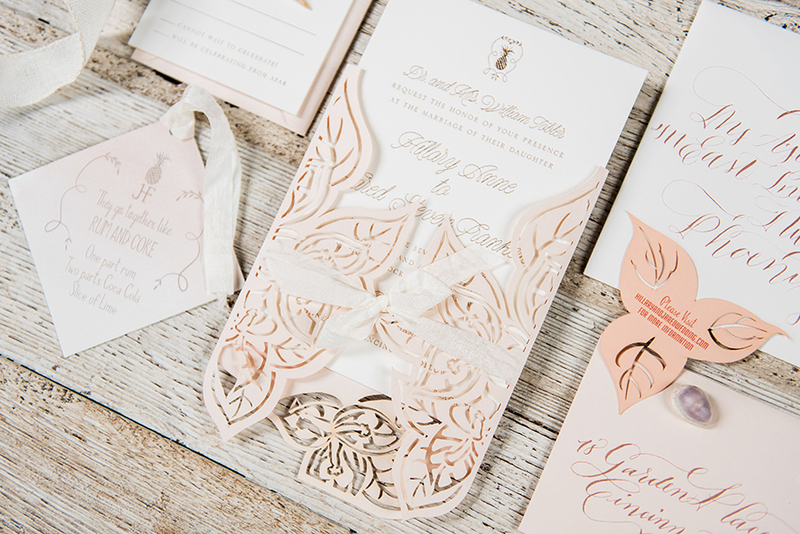 We created a blush laser cut folder with a bougainvillea pattern tied with a silk ribbon. 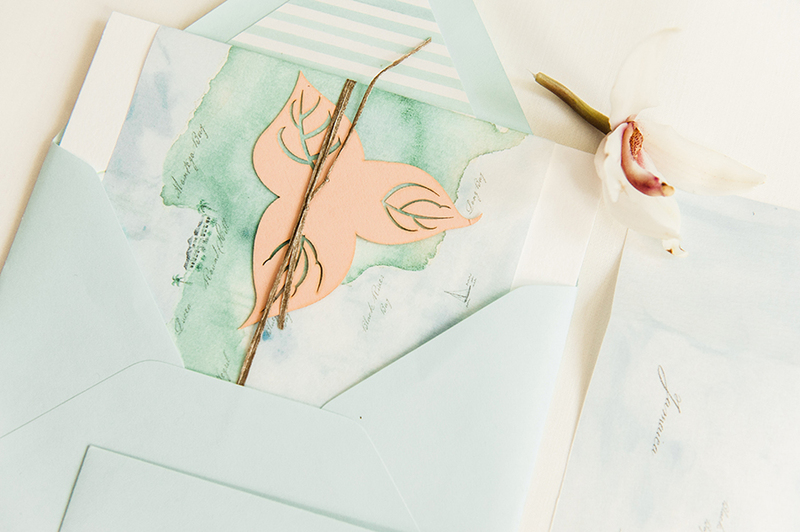 In contrast to the invitation, the save the date, was a bit more fun and colorful. Playing more off of the Caribbean destination. 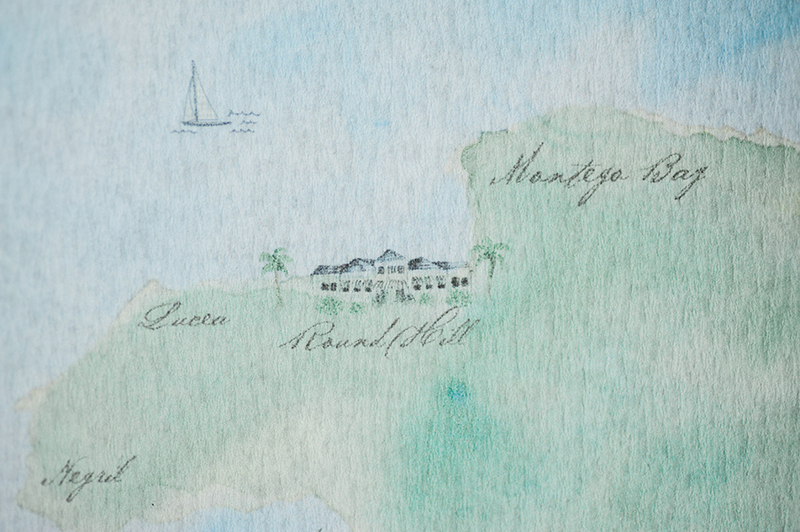 We printed a custom watercolored map of Jamaica on a gossamer textured paper to wrap around the save the date card. Different versions of the pineapple logo (some with initials, some without) where used through the save the date, invitations and day of wedding collateral pieces. Guests were given mini bottles of Jamaican Rum in their welcome boxes and encouraged indulge in a little pre-wedding cocktail! 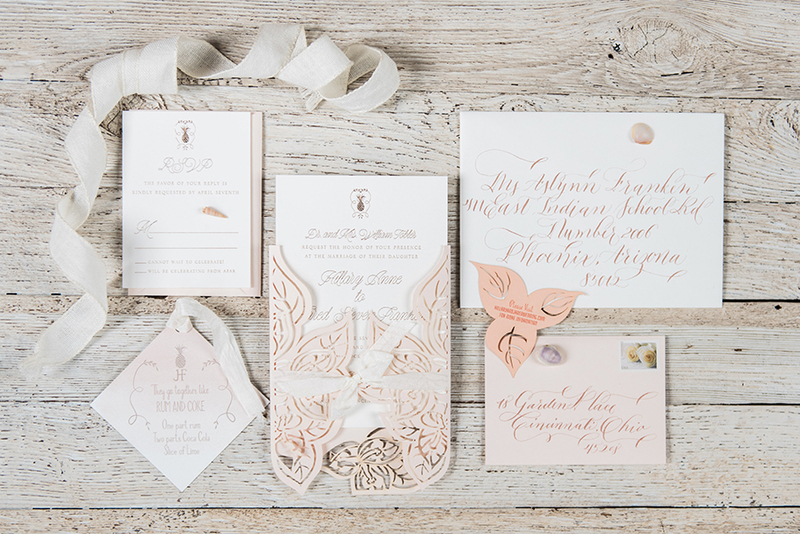 The envelopes were calligraphed in rose gold to match the gold foil of the text on the invitation cards. 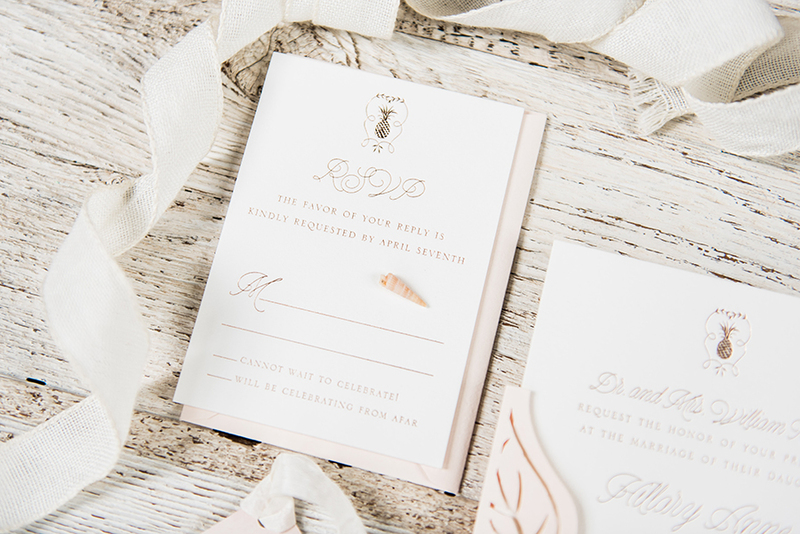 The save the date card used one of our favorite letterpress processes called split fountain which allows for multiple colors of ink that created an ombré effect through the design. One of the main connective threads through the save the date and invitations was the bougainvillea graphic. Used here in on a mini laser cut card carrying the website URL.